Stanley William Hayter was born in England in 1901 and died in Paris in 1988. He was a printmaker, draftsman, painter, and author active in France and the USA. In addition to numerous paintings and drawings, Hayter made 452 prints during his lifetime. This brief compendium of notes covers highlights of the life and work of Hayter and Atelier 17. It is not intended as a definitive statement on either subject. For that we recommend referring to The Prints of Stanley William Hayter: A Complete Catalogue; (1992) Peter Black and Désirée Moorhead; Moyer Bell Limited, Mount Kisco, NY. c) "viscosity printing" -- a label which Hayter deplored, always referring to this printing process as "simultaneous colour printing." These generalized associations are misleading because Hayter's oeuvre is varied and a subject worth the attention of both art historian and general student of the arts. Indeed, the scarcity of serious critical appraisal combined with the quantity of eloquent writing by Hayter on the subject of his own work may be a positive factor when examining his career as a painter and printmaker. It allows direct examination of what he did and said. These notes are chronological. For those who are unfamiliar with Hayter (or have become familiar with only a small part of his work) some background detail is included. 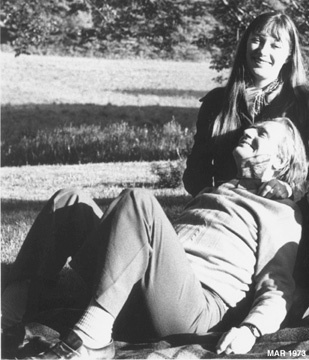 S. W. Hayter with Désirée Moorhead, May 1973. 1. The first painter in Hayter's family was Charles Hayter (1761-1828) who was a miniaturist and portrait draftsman as well as an artistic theoretician. Charles Hayter was appointed Princess Charlotte's Professor of Perspective and he published a treatise on this subject in 1813. 3. George Hayter was appointed Queen Victoria's portrait and history painter on her accession to the throne. She knighted him in 1842 for his services. 4. George's younger brother, John, was a precocious painter who first exhibited at the Royal Academy in 1815 at the age of 15. His subject was the 13 year old Edwin Landseer playing cricket. John Hayter was great-great-grandfather of Stanley William Hayter. 1. Prices asked or realized, and availability of the work of Stanley William Hayter are not the domain of this website. Some galleries dealing in Hayter prints include: The Annex Galleries, 604 College Avenue, Santa Rosa, CA 95404 USA (also many other Atelier 17 artists); Dolan/Maxwell Gallery, 2046 Rittenhouse Square, Philadelphia, PA 19103 USA; Mayor Gallery, 22a Cork Street, London UK W1S 3NA; Osborne Samuel, 23A Bruton Street, London, UK W1J 6QG; Redfern Gallery, 20 Cork Street, London, UK W1S 3HL; Galerie de l'Institut, 12 rue de Seine, 75006 Paris. 2. All Hayter artwork is copyright (c) 2016 Stanley William Hayter Artists Rights Society (ARS), New York / ADAGP, Paris. The British Museum, London, and the Bibliothèque Nationale, Paris, have bodies of Hayter work which can be viewed by appointment, as do other national museums and collections around the world. A Hayter Archive has now been established at the Tate Gallery, Millbank, London SW1P 4RG.